As an environmental and green business attorney, author, speaker, and climate justice advocate, Cormac has been an influential leader in the Earth Law movement. His book Wild Law: A manifesto for Earth Justice first published in 2002 presents the framework for transforming legal systems to align with the laws of Nature and recognize the Rights of Nature. In 2010, President Evo Morales of Bolivia invited Cormac to be a lead author of the Universal Declaration of the Rights of Mother Earth. Cormac has been a keynote speaker for Rights of Nature events at the United Nations Conference on Climate Change COP17 in Durban, South Africa, the UN Rio+20 Earth Summit in Rio de Janeiro, the WildLaw Conference 2012 in Brisbane, Australia, and the Environmental Law Conference in Oslo, Norway. Cormac also prepared a draft People’s Charter for Africa. He is a director of EnAct International, an honorary research associate of the University of Cape Town, and a member of the IUCN Environmental Law Commission. 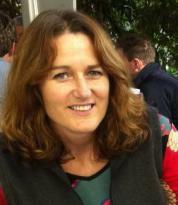 Michelle Maloney, environmental lawyer and activist, is the National Convenor and Co-Founder of the Australian Earth Laws Alliance (AELA). AELA was created in September 2011 by the Australian Earth Jurisprudence movement and its aim is to promote the understanding and practical implementation of Earth Jurisprudence and Wild Law in Australia. Michelle has 20 years’ experience in environmental law and social justice advocacy, and recently completed her doctoral thesis in law at Griffith University, Brisbane, Australia. 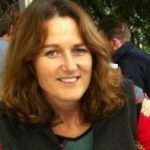 She is the Australian representative on the Executive Committee of the Global Alliance for the Rights of Nature and contributes to the work of a range of community-based environmental law organisations, including as Chairperson of the Queensland Environmental Defender’s Office. Michelle also co-edited the book Wild Law in Practice together with Dr Peter Burdon (published Feb 2014). A list of her publications can be seen here. Liz Rivers is a mediator who started her career as a commercial litigation lawyer with Eversheds in London. Liz is active in the global Earth Rights network as a speaker, facilitator and writer. Liz is helping to radically reshape our global governance systems and our worldviews to enable a rapid transition to a sustainable way of life for humans and the Earth using her expertise in commercial law and mediation. Read more about Liz. 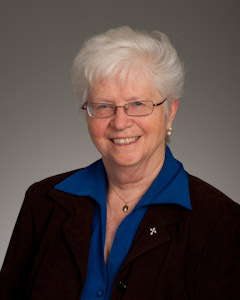 Patricia Siemen is a Dominican Sister from Adrian, Michigan, and an attorney. In 2006 she founded the Center for Earth Jurisprudence at Barry University School of Law in Florida. 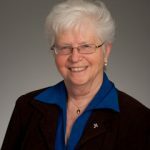 She served as the Center’s Director for 10 years and is now Director Emeritus, having moved to Michigan to take up the role of Prioress of the Dominican Sisters of Adrian in Michigan in 2016. Previous positions Sister Pat has held include director of the Earth Ethics Institute at Miami Dade College, engaging students and staff in programs and workshops in Earth Literacy; staff attorney for the Voting Section of the United States Department of Justice, Civil Rights Division; and legal services attorney for migrant farm workers in South Florida. Sister Pat has also served in community organizing with the African-American community in rural Tennessee, in parish ministry with the Latino community and in elementary education. She has been a member of the Steering Committee of the Global Alliance for the Rights of Nature since 2011.